The Large Oil & Chemical Drain Pan is designed as a safe and environmentally secure way to drain oils and chemicals from trucks and process equipment. The top is funnel shaped to accept liquids which drain into the internal of the pan and a plug inserted to prevent leakage. The Drain Pan can then be transported to the emptying station and simply emptied from the capped outlet. Wheels makes moving the pan easy (optional). 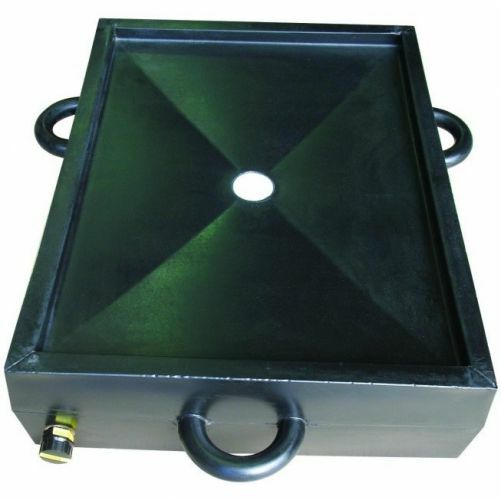 The Pan is made from super tough PE, holds 65 litres and is ideally suited to for truck oil drainage and hydraulic oil from construction and process equipment.